We had the honor of working alongside Adventures Without Limits to produce a short-documentary that explores the concept of adventure. As various people shared their perspective on adventure, we saw the incredible depth and complexity that surrounds it. Unlimited was screened at various film festivals and was awarded the Best Short Doc under 10 Minutes at the Eugene International Film Festival. I read this article and found it very interesting, thought it might be something for you. 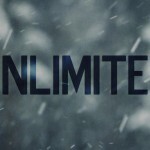 The article is called Unlimited – Award Winning Short Documentary and is located at https://atelierpictures.com/stories/unlimited-award-winning-short-documentary/.